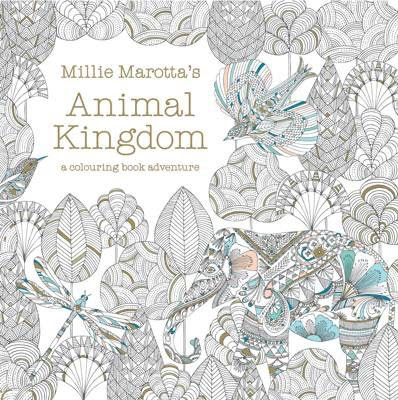 Lose yourself in Millie Marotta's Animal Kingdom . . .
Illustrator Millie Marotta grew up in rural Wales surrounded by all kinds of plants and animals. She works from her studio by the sea and draws inspiration from the wonderful wildlife around her. 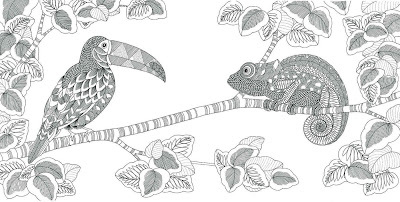 Now you can personalise her beautiful illustrations and create an animal kingdom of your own. From the beetle in need of a colourful, iridescent shell, to the whole waiting for a magnificent ocean home, there is a whole world of fauna and flora to explore. All you need are pens, pencils and a bit of imagination. This colouring book is beautiful, from the gold leaf on the front cover, to the intricate designs of each and every colouring page - I love it! And, I don't want to colour it ... 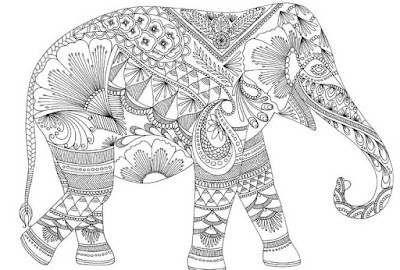 I know its a colouring book, but I'm a bookworm and I am hesitant about colouring such a beautifully created thing. 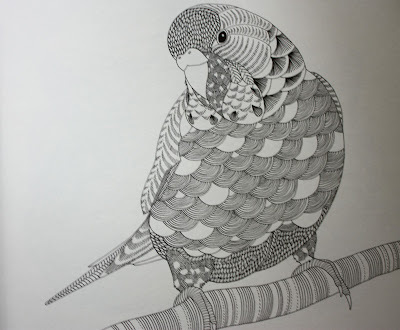 I have included some examples of the artwork found within Animal Kingdom below.